Reading the requirements for sustainability merit badge got me to thinking about merit badges as tools to achieve the aims of Scouting in general and Eagle required merit badges in particular. Faithful readers will understand that I like to think about these things and write about possibilities, take it all with a grain of salt. Before diving in I’d also like to reiterate that I am not an official of the BSA, just a Scoutmaster with a blog. Sustainability merit badge is, in my opinion, a missed opportunity. The requirements have a pretty weak connection to the natural world and no connection to the activities our Scouts do in the life of their patrol and troop. There’s potential to strengthen the aspects of responsible citizenship but the work required is largely academic. I feel introducing it as an alternative Eagle-required merit badge only increases the dissonance of the advancement program with the experiences we promise our Scouts. Dissonance is inconsistency between actions and beliefs or, in this case, between what is promised and what is delivered. For example; I have struggled with trying to make environmental science (ES) merit badge relevant for years. Instead of appealing to the powerful drive to explore and discover their surroundings ES is written in a way that encourages counsellors to produce a number of tiresome lectures and Scouts to do a lot of book work. Nothing in ES requirements are directly related to the outdoor activities Scouts do all the time- and this is particularly frustrating when it would be so easy to do. Isn’t ES just begging for some connection to Leave No Trace? As a result most Scouts look at ES as diversion from the fun and excitement of Scouting into something less engaging – they experience a dissonance between what we promised and what we require. Many Eagle required badges (all three citizenship badges, personal management, family life, communications, and (to a lesser extent) personal fitness and emergency preparedness) lack any connection to adventure or the outdoors, and, in my opinion, are also dissonant pieces of the program. I find this frustrating because it would be so easy to make those connections. All of the Eagle required badges are great things to learn, they are things we’d like to see our Scouts understand but they are mostly missed opportunities. Each one of the hundred or so Scouts who have earned Eagle during my tenure as a Scoutmaster have looked on many of these badges more as necessary evils than something consistent with why they are Scouts in the first place. 1. Significant integration into the patrol method. Each badge should include requirements that are activities conducted by the Scout with and for his patrol (well beyond ‘give a presentation about what you learned’). 2. A number of requirements should be changed so that they are integrated with camping activities in the out-of-doors. Beyond those changes I’d suggest rethinking the Eagle required list. I’d reduce the number of badges required for Eagle to 20 and the list of specifically required badges to five. Earn the five required badges in each core group and any two of the alternative badges from each core group for a total of fifteen. Alternatives in this group: Astronomy, Bird Study, Fish and Wildlife Management, Forestry, Geology, Insect Study, Mammal Study, Nature, Oceanography, Plant Science, Reptile and Amphibian Study, Soil and Water Conservation, Weather. Alternatives in this group: Citizenship in the Nation, Citizenship in the World, Communication, Family Life, Personal Management. Alternatives in this group: Backpacking, Canoeing, Cooking, Climbing, Fishing, Fly Fishing, Hiking, Kayaking, Orienteering, Pioneering, Whitewater, Wilderness Survival. Alternatives in this group: Athletics, Cycling, Golf, Horsemanship, Rowing, Scuba Diving, Snow Sports, Sports, Swimming, Water Sports. Alternatives in this group: Disabilities Awareness, Emergency Preparedness, Fire Safety, Lifesaving, Public Health, Public Speaking, Safety, Search & Rescue. Earn five additional merit badges of your choice (including any alternatives from the list above not applied to the core fifteen) for a total of 20 merit badges. This approach would aim our Scouts at five core badges (I’d revise each of them using the rules of thumb I mentioned above) and then allow them to choose two alternatives in each group according to their interests and local conditions. I think Scouts would be much more invested in badges they get to choose rather than a long list of ones that are specifically required. By grouping these together we maintain focus on five core skills but open the alternatives in an engaging, energizing way. I would change merit badge pamphlets into merit badge workbooks. There would be plenty of room for making notations, providing definitions and answering questions. I’d be careful not to make the workbooks into written tests or academic worksheets but shape them into a more useful tool for Scouts and counselors alike. Lastly it is far past the time that merit badge pamphlets were both virtual and actual documents. An alterable pdf version of a merit badge pamphlet that could be used as a virtual workbook or printed out would be so much more welcomed than the present $5.00 @ pamphlets that go out of date. I’d happily pay an annual licensing fee for our troop to have access to a pdf library of merit badge workbooks. Before you fire off a comment, re-read the post above, take a deep breath, and count to ten. A little late to the conversation – but I thought I’d chime in. I have seen a lot of merit badge classes – where it is just lecture and very little to do about relevance. I am so bored with lecture (and by the glazed over eyes of the Scouts – so are they), that I started developing merit badge classes that used real world activities – relavant to today and going far beyond the ‘requirements’. What I try to do is to identify the focus of the merit badge. For example ‘Inventing’ is focused on the boys individual invention ideas. Then I wrap the entire class around their ideas. Another favorite is ‘Wordwork’. We focus on the project (a 8 – 10 hr process), then wrap the rest of woodwork, painting, chemistry and pulp & paper within the project. It allows for a ton more detail and depth, while producing an awesome finished product that the Scouts can take home. I think it’s all about how connected the counselor is with the subject. 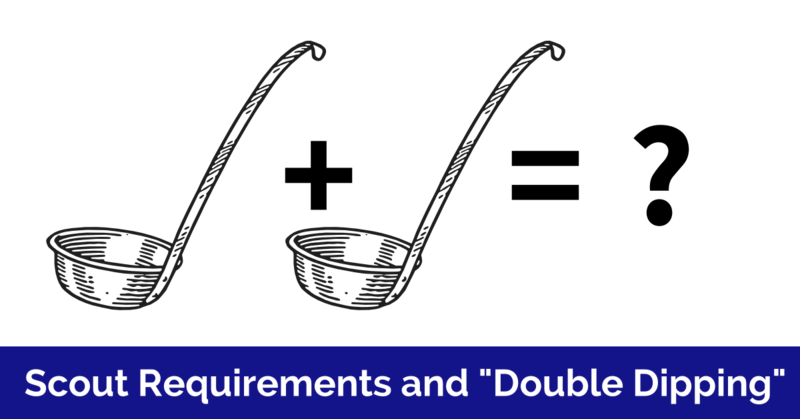 Follow the book, make sure the requirements are covered – then ratchet it to an ’11’ and have fun with it. The boys are amazed and inspired – and the skills they learn are remembered long after the ‘lectures’ are done. This basically how the requirements were in the late 50’s when I earned Eagle in 1960; we chose merit badges within groups. However they would have to read all of that and it could be a problem as today they want someone to explain everything to them and lead them by the hand. Fanstastic – will make for great discussions! My brain is racing with all kinds of ideas. With regard to the boring MB requirements, they are also so far out-of-date with current ways of communicating. For example, E Sci – “Prepare a 100-word report….” BSA could release a statement saying, “Effectively Immediately, any MB requirement that states written or reports needed will become Research and Communicate X, Y, or Z information with PowerPoint, Video, Speech, Brochures or other method approved by your MB Counselor.” My son groaned at a Prepare a 100-word report, so I introduced him to templates for Tri-Fold Brochures. He took off and not only learned about Mercury in Lakes, and Wolves as an Endangered Species, he also learned a valuable new tool making brochures and other desktop publishing methods. He was actually excited to use his artistic side and show-off his research and end-product. His Counselor LOVED it. I think that at least two sections of the National Outdoor Award should be earned as well to the twenty merit badges. I think merit badge pamphlets should now be apps at $1 a pop. I think you have some valid points about the kids choosing their merit badge path and about it being more outdoors. But Eagle badges tend to take 3 months, and many of your alternatives can be done pretty quickly. There is something to be said for slow and steady, anything worth while takes time and effort. Also there are pushy parents out there trying to get boys to Eagle at 13, cutting back on the Eagle required badges opens the system for more pushy parents to get that check box quicker. Wonderful article again, Mr. Greene! I believe there should be more of a relevancy for Eagle Badge requirements. A surgeon needs to know how to use a scalpel and mechanics need to know how to use their tools! I really do not care to be lectured by my surgeon or mechanic. I prefer them to show me they know what they are doing! And as for Scouts… I prefer they show me more of what they know, versus telling me what they know! What there isn’t is a good guide for Merit Badge Counselors for EACH merit badge on ideas how to make that MB interesting, fun and awesome! Seems like everyone is agreeing that Merit Badge earnings is a lot classroom, sit around, boring ways to learn. What we need are lists, ideas, links, projects, activities, crafts, people to talk to, locations, resources, pictures, videos, blogs, Q&A forums, Facebook, Twitter, thumbs up/thumbs down things for our Merit Badge leaders to go to. Come on, technology! I’m smellin’ the most awesome iphone/android app in Scouting if someone can figure this out. Meritbadge.org is an awesome wiki but is meant for easily finding BSA practices and not really opinions or discussion. What would be cool is if for each merit badge (see this page: http://meritbadge.org/wiki/index.php/Merit_Badges), there were a link to a related blog to discuss/share ideas on how to present said badge. And while on that, why not have one for each activity/requirement in the cub handbooks as well. 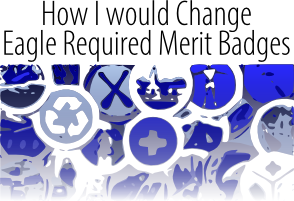 I use meritbadge.org all the darned time. It’s a fantastic resource for what it gives. I agree with you on the grouping. This reminds me more of the Webelos requirements where I started as an adult leader. I have long since thought that the Webelos groupings made more sense than the rigid Eagle structure of the required badges.Most of My Webelos went above and beyond and got all 20 achievements, but the ones who didn’t were exposed to a variety of skills and disciplines in earning the Webelos and Arrow of Light. I also agree that the new badges requirements are a lost opportunity to get the Scouts out doing something. There is a by definition a certain amount of ‘classroom’ type work that has to be done on the Citizenship badges, but it doesn’t have to be boring. It’s all in how you teach it. I believe that all Eagles should have Backpacking, Hiking, and Wilderness Survival. The public expects those skills of a Scout. Clarke, on first blush I like it. 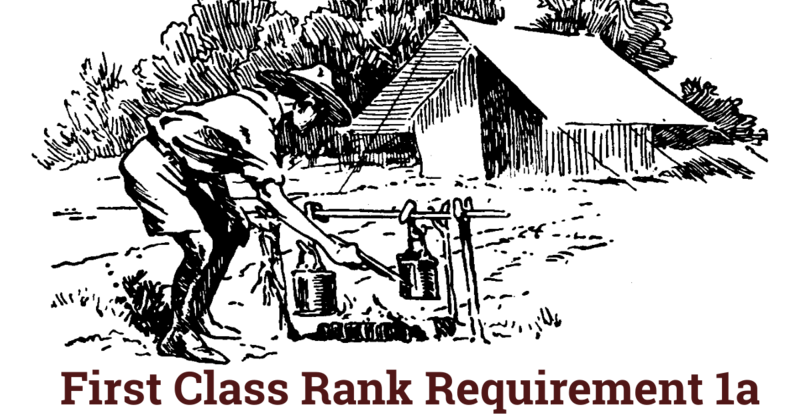 Since the language clarification on the rank requirements, I have asked my Troop Guides to make a special effort to READ what the book says to do … and I have been asking merit badge counselors to do the same. I think something like this has potential to be helpful and let Scouts make more choices. Your groupings also are consistent with the Webelos/Arrow of Light requirement concept to earn required activity badges and choose electives from each category. I might suggest splitting the Citizenship group, consisting of the three Citizenships along with options such as American Labor, Crime Prevention and Law, and another category along the Personal Development theme including Communication, Family Life, Public Speaking and Personal Management. Journalism is another good one that could fall in either category but I’d lean toward putting it in Citizenship because of the strong ties between good journalism and an informed citizenry. When I work with a Scout on a merit badge, I have him use the worksheet as a guide to keep track of what he’s done, but when we meet to discuss, I take the worksheet from him, look it over a bit, and we have a free-form conversation about what he has done. I most often counsel the Family Life badge, and our chats can sometimes take a half hour per session just drawing out some of the concepts in the requirements. Slightly off topic, but another “new” MB that I believe misses the mark: Geocaching. I have taught this MB a couple of times, and 80% of it is a boring tome on satellites and coordinate systems. As a long time geocacher, there is nothing that ignites the interest of a newbie more that… actually finding geocaches! Sadly, the GC MB only has 1 requirement to actually FIND A GEOCACHE (<- elevated volume of speech). Great ideas. Happy to see my soon-to-be Eagle Scout will have fulfilled these requirements too, some in his pursuit of the National Outdoor Awards and Medal. I will keep your comments in mind as a merit badge counselor for some of the more “academically-oriented” MBs. 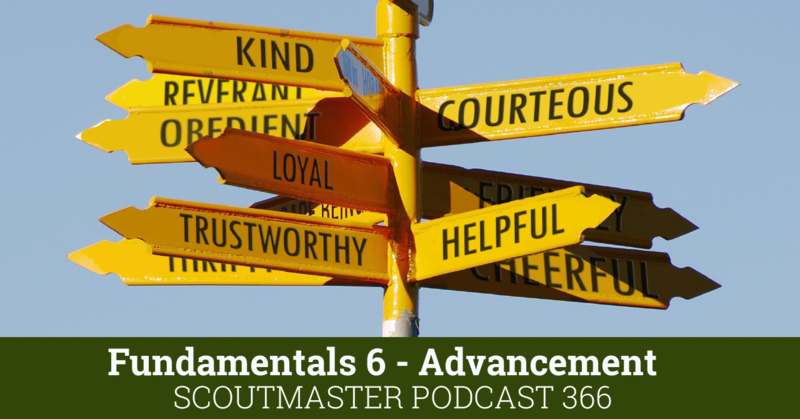 I am not a Scoutmaster, but I am the advancement chair for our Troop. I’m also a certified LNT trainer (went through the course with my son, who was psyched about it) so your Sustainability/Env. Sci. comments resonated with me. So here’s my question for the group: How do I, as a MB counselor, design my curriculum for the MB’s that I’m teaching to support the goal of actually making them relevant with real-world application within the context of the current requirements? Totally agree,Clarke! Scouting is about DOING, and learning from what was done. Excellent food for thought. I’ve often discussed with Eagle candidates why the required badges are required. Usually their answer comes down to something like “They are basic life skills we all need to learn”. But, is that all there is? Shouldn’t the required merit badges in some way be tied to the Aims of Scouting? If a boy achieves the Eagle Rank, the highest rank in Scouting, shouldn’t we expect those Aims to be met for the most part? I like your approach but I think it would be even more compelling if you showed a linkage back to the Aims of Scouting (character development, citizenship training, and personal fitness). The subject matter of the required merit badges could be integrated with the Aims while the completion of the merit badge requirements could be better integrated with the Outdoors Program. Keep stirring the pot Clarke. You make people think and thinking keeps us from stagnating. I agree with everything you said about merit badges. It is high-time that the BSA look into the whole merit badge program. I totally agree. 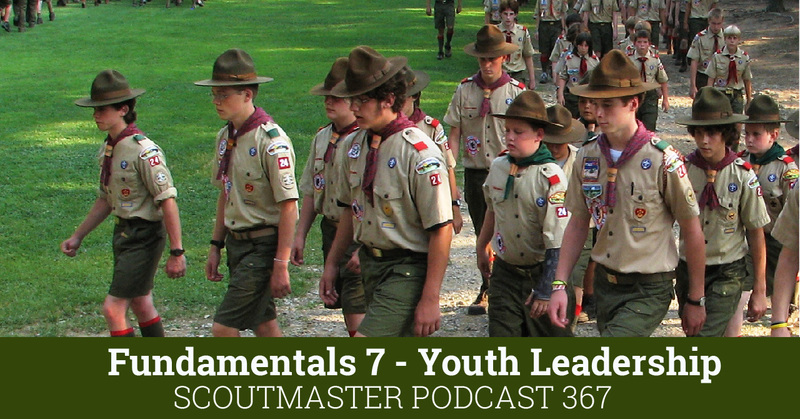 Too many Scouts are experiencing merit badges through through poorly conducted clinics and summer camp programs. Integration of MB into patrol activities plus other improvements that that are activity centric could help rectify this problem. Oh…one other thing, I would add one requirement to every MB; read the pamphlet. I LOVE this plan and the ideas coming from comments! I love the idea and principles that are at the core of the merit badge program, but I agree that somewhere we have gotten off course. This plan as a starting point would do a lot to move the needle back where I feel it should be. I love the idea of the categories, boy selected, reduce the number, improve the quality and focus, and integrating the experience into the patrol and outdoor methods. Put an end to merit badge seminars and summer camps where boys are obligated to lectures. I truly believe this method would be a better service to the boys, as well as the program. Now how do we make it happen? I like the idea of all scouting literature to be made available as a PDF subscription and / or an online library. It would always be current and up to date. I still like to buy some of the books and stuff but online would be a wonderful way to help all Scouts at all economic levels. I AGREE 100%!!!! You must be reading my mind! I have been a Scoutmaster for 38 years, and I too have thought the required list for Eagle could use some serious changing. Maybe they need more Scoutmasters running things at HQ. I’ve always wondered why such badges as Orienteering, Pioneering, Wilderness Survival, Backpacking, Hiking, Archery, Rifle, etc. were not required for Eagle. Personal Management?? Sports?? Personal Fitness?? Come on, as you said, we are special because we are a hands on, outdoor organization. Let schools teach what they teach, and Scouting teach what we are known for! I’ve got to disagree with part of this, Daryl. I agree that we should have more of a focus on the outdoors, but let’s face it – the schools aren’t teaching this stuff, and part of what we’re here to do is help turn these boys into good CITIZENS, not just good outdoorsmen. Agree with you totally Doug. Citizenship merit badges are so important, as are balancing finances, learning to cook and budgeting. Perhaps technology updates need to be applied to merit badges. We could have video classes on merit badges, inspired and enthusiastic speakers. The kids would still need to submit the paperwork to their councillor, but to be honest some of the councillors put kids off taking certain merit badges. I agree, with reservation. The Scouting program has three specific objectives, commonly referred to as the “Aims of Scouting,” which are character development, citizenship training, and personal fitness. Outdoor activities are not just to make the scout a good outdoorsman. In my opinion, that would be secondary. Primarily, the outdoors is the method by which our Scouts develop character, train to be good citizens, and keep themselves physically, mentally, and spiritually fit. I very much like the concept of the five sub groups and giving scouts freedom to choose within the groups. I disagree with making the merit badge pamphlet into a workbook. I disdain the MB worksheets that have been created and posted to some MB sites – because there are some counselors out there that seem satisfied that a scout fills out the worksheet. The worksheets make merit badges MORE like school work. A good merit badge experience should not look like school. Skating MB might fit into the fitness group. I’m not sure how to fit these into your groups, but sailing, rowing and scuba diving are all great scouting activities that take place outdoors. They might fit into “fitness” or the “outdoors” subgroup. I would like to see the citizenship group expanded. American Heritage? American Cultures? Law? Journalism? Public Speaking? I’m not a fan of the current citizenship merit badges because they don’t require scouts to go out and experience something interesting. (attending a public meeting can be painful) I’ve seen two recently well conducted MB sessions for American Heritage and Law merit badges. In both instances the counselors took the scouts to locations they normally would not have visited and the scouts really enjoyed their time and felt it was worthwhile. The exact opposite of the feedback I get from scouts from sitting at summer camp listening to a counselor. I was careful to qualify the workbook would not recreate a school experience, it would actually help avoid just that. Counsellors produce worksheets because they miss the point of words like ‘explain’, ‘tell’, ‘discuss’ or ‘share’ and reduce them to writing – the workbook would direct the Scout and counsellor to have a conversation rather than write things out. I don’t know of many badges that don’t require some sort of writing (taking notes or making plans) it makes no sense to me that you can’t do that in the actual book. The Citizenship merit badges have never been very good and need considerable revision to make them relevant. They miss the opportunity to see models of citizenship in the troop and patrol, they have long lists of definitions and they are very short on meaningful activity. I think Scouts ought to attend long, boring public meetings because that’s the way citizenship actually works (I conduct a long, boring public meeting every month as a government official) when you actually explain and discuss what’s going on the meetings come alive and there’s some understanding of the processes at work. My groups are a first pass, I am sure that they could use a lot of tweaking. I think there 20 merit badges is too few, in our current environment. Scouts seem to have no problem finding merit badge fairs and summer camps that offer merit badges. It has been a long time since an Eagle in our troop had only 21 merit badges. Most seem to have between 25 and 30. If on the other hand, summer camps offered a fun week of camp and NO merit badges, I would be all in favor of reducing the number of merit badges to 20. (A scout might need to actually have some personally initiative.) My son has friends who go to YMCA camp and to private camps where they spend the week having fun. None of their time at camp is sitting in a class listening to a sixteen year old lecturing them on a topic in which he/she has little expertise. I am okay with 20 that are closer to what Scouts are interested in doing rather than 30 that they weren’t. There are no greater or lesser Eagle Scouts, just Eagle Scouts. Thank you for sharing truly innovative ideas, CG. I push hard to recreate as many requirements as are possible into patrol and/or outdoor activities. You suggestions are largely national-specific. What would you suggest as next steps to move the discussion from academic to action. Is there a committee or council that needs to hear from the masses? Not every scout experiences scouting through the troop and patrols. Your approach, while very thoughtful, may be a bit too rigid to accommodate all scouts. If you are speaking of Lone Scouts there are already many adaptations in place for their advancement. I’d also say that you can’t actually experience Scouting without a patrol, you can get some of it but not the whole thing. Thank you. These very ideas have been percolating in my feeble brain ever since I returned to Scouting 20 years ago and first experienced the effects of “E-Sci” on the average scout, which is usually utter boredom. This hasn’t changed. Kudos to you & for articulating your ideas so well. I’d certainly support it if we could move on it upward & onward. My son did E-Sciece as a first year scout. He really enjoyed it, but the MBC took a month’s worth of meetings and did most of the “experiment” type requirements instead of the read/write/lecture requirements. They were outdoors for the most part and some of the “lecturing” was done while walking over to the local park to do observations. Most of the homework for the merit badge also involved getting the boys outside. I think that a counselor’s approach can alleviate a great deal of the boredom, and those scouts who prefer the more-academic activities still have options. Sounds like the Venturing Bronze Groups that just got tossed in the garbage. There is merit in your thoughts about merit badges. Totally agree, especially after slogging through many of “boring” merit badges with my son on his way to Eagle. He loved Scouts for the camping, outings and camaraderie but didn’t quite understand why there was so much ‘book work’ for some of the merit badges. 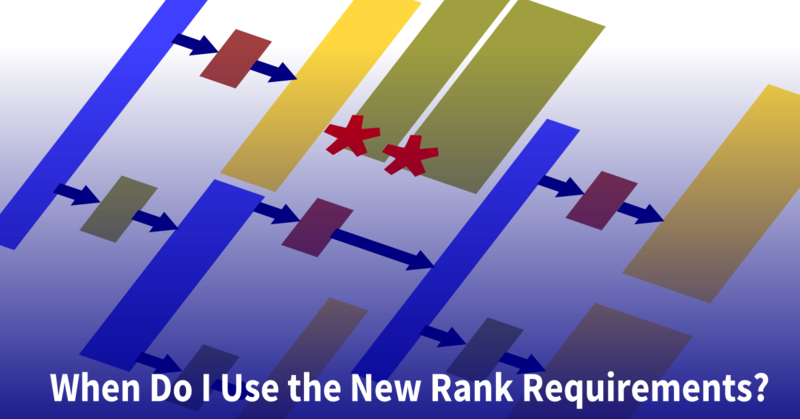 Have you been reading the Venturing requirements again? This organization reminds me of the distributions requirements for courses when I went to Rice University. There were three groups and six sub-groups. You needed at least one course from five of the sub-groups and some other number (4?) from each group. Wasn’t thinking of Venture requirements, don’t actually know very much about them. If we did group the badges like I suggest we give Scouts a lot more options based on their personal interests. and, like I said, I think they would be a lot more invested in the work they do on things they choose.